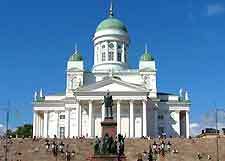 With Helsinki, the capital of Finland, being so close by, many people simply consider Espoo to be a convenient base and take regular day trips into this large and enticing metropolis, where many world-class attractions await. As Finland's second city after Helsinki, Tampere more than warrants a trip and its many attractions can be found some 180 km / 112 miles to the north of Espoo. 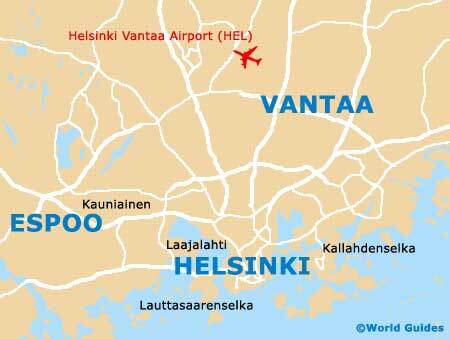 Also extremely close to Espoo and within Greater Helsinki is the city of Vantaa, where the main attractions are very much aimed at tourists and conveniently close to each other. If you are visiting Vantaa in August, prepare yourself for the inevitable crowds that gather for Ankkarock, which is now amongst the biggest and best rock festivals in the whole of Finland. Helsinki is only 21 km / 13 miles from Espoo and is crammed full with attractions, with families always finding the Linnanmäki Amusement Park and Helsinki Zoo particularly appealing. There are also several city beaches around the coastline of Helsinki, with Hietaranta Beach being a particular favourite of many a visitor. If you have time, take a swim or enjoy a sauna at the extremely beautiful Yrjönkadum Uimahalli, an Art Deco complex built in the late 1920s. Also equally impressive is the swimming pool at the Olympic Stadium on the Hammarskjöldintie, and the City Winter Gardens with their many stylish glasshouses. The attractions of Tampere are many and quite varied. Consider tasting the famous beer at the Panimoravintola Plevna Brewery, cruising along the River Limmat, taking a tour of the imposing medieval Häme Castle, or watch brave ski jumpers flying into the air from the observation deck at Lahti. Very much the hub of city life in Tampere, you will find yourself being drawn into the Central Square, known locally as the Keskustori, where lively markets and seasonal festivals are often to be found. 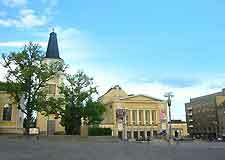 Short breaks in Turku are becoming increasingly popular with those staying in Helsinki and Espoo, since Turku has so much to offer in the way of attractions. At around 148 km / 92 miles west of Espoo, Turku can be reached in under two hours and is well-known for its medieval castle, which comes complete with dungeons and enormous banqueting halls. 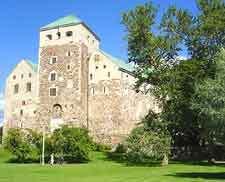 The 13th-century Turku Castle is especially close to the ferry terminals and the very mouth of the River Aura, and is also home to an acclaimed Historical Museum, where many priceless treasures are housed. 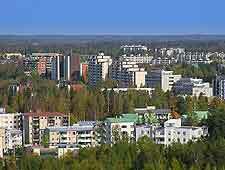 A large and sprawling satellite city of Helsinki, Vantaa has many of its own unique attractions and is particularly close to Espoo, standing just 28 km / 17 miles to the east. Those arriving in Vantaa will find plenty to fill their day, such as the Heureka Science Centre, the planetarium, and the ever-popular IMAX theatre, all of which are close to the Tikkurila railway station.